Many people know that owning gold has been a very good investment, but you may be surprised to find out just how well gold has fared when compared against owning stocks. From the beginning of 2000 to the beginning of 2014, gold significantly outperformed the S&P 500. 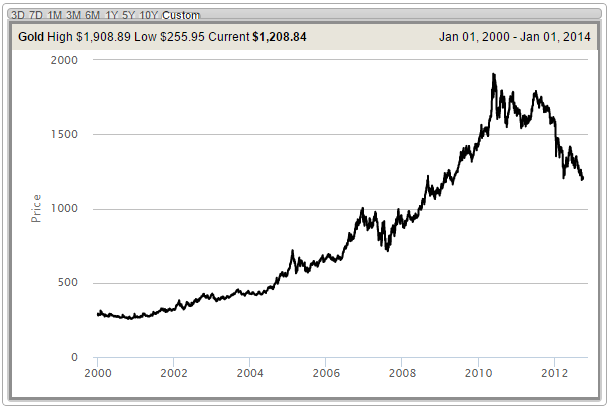 Gold rose from just over $250 dollars in 2000 to around $1,900 during the high in 2011. If you compare this to the performance of the S&P 500, it becomes clear which asset you would rather own. Here is a chart showing the price of gold since 2000.